Arthritis is often seen as an “old person’s disease” however, unfortunately it is also a chronic disease impacting on young people and children in Ireland with more and more cases appearing daily. There are over a 1,000 children living with the condition today in this country making them the forgotten face of Arthritis. A recent online survey conducted by Arthritis Ireland found that 41% of parents who have children living with the disease said their biggest fear was that their child won’t have a normal life into adulthood and 24% said they worry about their future. 70% of parents also said the most common response they get when they tell other adults their child has arthritis is amazement that the condition actually affects children in the first place. Ireland has one of the lowest numbers of Consultant Paediatric Rheumatologists in Europe per head of population with the waiting list for diagnosis of children suspected of having arthritis being in excess of two years which is a very worrying statistic according to Arthritis Ireland. Irene Collins daughter, Grace, was diagnosed with Arthritis when she was only two-and-a-half years old. Irene said: “We were shocked when Grace was diagnosed. It is a condition she lives with daily and people don’t always get what that means and the harsh impact it has on her childhood. Sometimes she’s in so much pain she can’t even walk”. 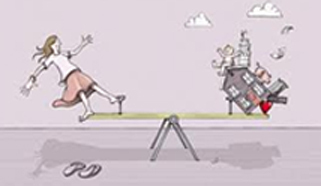 Arthritis Ireland is campaigning to change this perception. 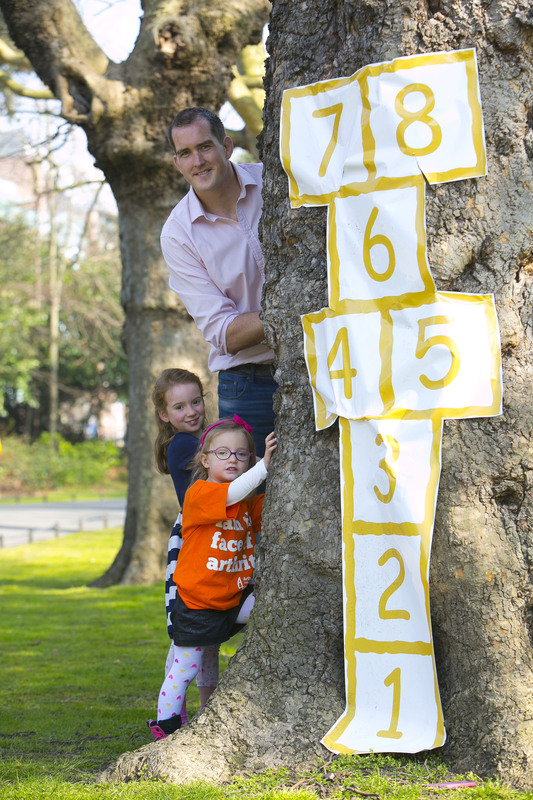 Today, with the help of Irish & Leinster Rugby player Devin Toner, they launched a new campaign to raise public awareness about Children with Arthritis and raise much-needed funds for support services to help children and their families. “Back To The School Yard” is a chance for people to organise a day of school yard games in their workplace or community and raise funds for Children with Arthritis. For more information log on to www.backtotheschoolyard.ie or call Emma on 01 6470205. Arthritis Ireland & Team RAD join together in the fight against arthritis. Arthritis Ireland are delighted to announce a new partnership with Team RAD, (Racing with Autoimmune Disease) for the coming year. 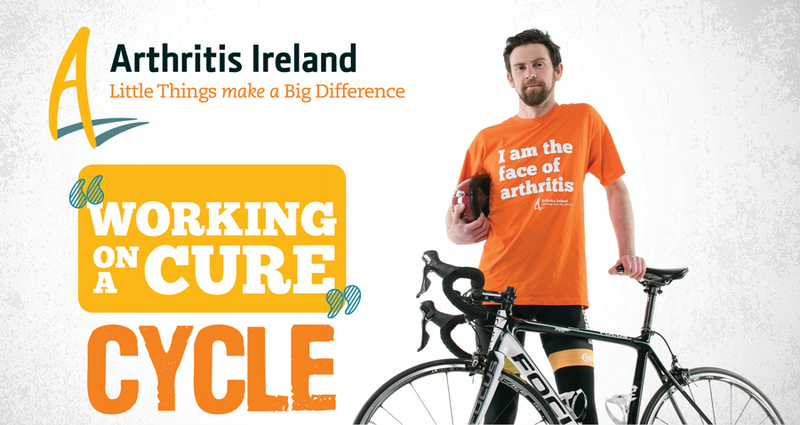 Kenny Bucke, Team RAD will take part in this years Working on a Cure Cycle on June 7th for Arthritis Ireland. A cycling club for people with arthritis and other autoimmune conditions, Team RAD was established in autumn of 2014. We are delighted to be supporting Team RAD. This partnership will help promote a positive message around Arthritis and that it can be managed effectively. We are firm advocates that regular exercise is a key part in managing a disease such as arthritis and that cycling, as a low impact sport, is a perfect fit. As well as this members of Team RAD will be taking part in the Arthritis Ireland Working on a Cure Cycle in Wicklow on June 7th and will be raising funds to funds research into new treatments, and ultimately a cure for arthritis. Team RAD was set up by Kenny Bucke, who first experienced symptoms of Rheumatoid Arthritis (RA) when he was 35. “I want to show that you can still compete if you have an autoimmune condition. Training with a club like this means you’ll be with other people who understand your symptoms so we may have different ways of doing things. Over the course of the coming year, Arthritis Ireland and Team RAD will work together to increase awareness of Arthritis as a disease that affects younger people. They will also work together to promote cycling as a key part of managing their disease while looking to establish cycling groups, similar to the Arthritis Ireland walking groups. As part of the partnership, the Arthritis Ireland logo will appear on Team RAD’s club kit which will further raise awareness at cycling events nationally of the partnership. The health of the Irish people and its health system are facing a significant challenge from the rising tide of chronic conditions such as arthritis, diabetes and heart disease. 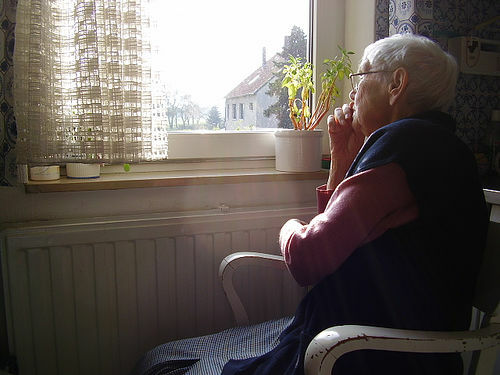 Taking arthritis as an example, high-tech biologic treatments have been extremely effective in stopping joint damage in its tracks but – as no cure exists – patients still need to manage their own condition outside of the clinical setting and the impact it has on their lives such as pain, fatigue, social isolation and loss of employment. This is where the Arthritis Self Management Programme – delivered nationwide by Arthritis Ireland over the last 7 years – makes a big difference. By complementing clinical treatment with education and training in problem solving and action planning, it enables and empowers patients to live happier, healthier lives. We are delighted and proud that this year, we have over 110 wonderful women who have signed up and joined Arthritis Ireland’s team and on June 3rd will toe the start line for the Flora Women’s Mini Marathon and will walk, run or jog the streets of Dublin and claim their hard earned medal. Some of these women are taking part on behalf of someone they love with arthritis, while others are doing it for themselves. Whatever the motivation behind their reason for taking part, we are grateful for their hard work, training and fundraising efforts. And we want to say a BIG THANK YOU to all of them. 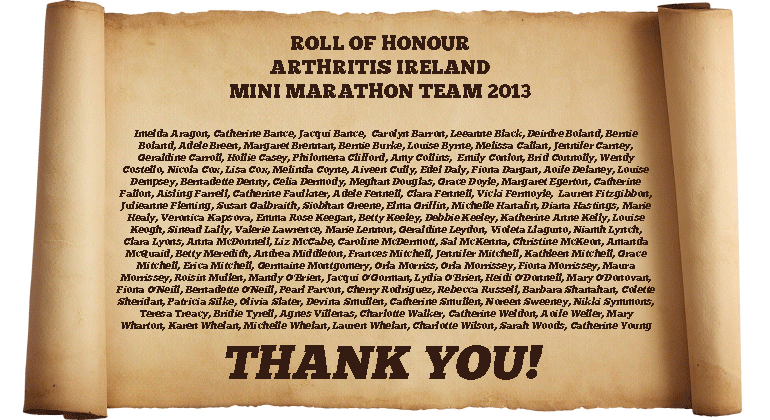 Below is a list of the names of all taking part in the event on behalf of arthritis Ireland. Why not leave them a message of support in the comments. Or even better, if you are in Dublin on June 3rd, take some time to cheer and support those taking part. To each and every one of these wonderful women who have trained over the last number of months in the windy and rainy days, raised money from family, friends and colleagues and are counting down the days to June 3rd – THANK YOU! Although arthritis can be only diagnosed thr ough the identification of physical symptoms like joint degeneration, there are a host of mental symptoms associated with it which can be just – and often more – difficult to deal with. Just because two people have the same condition does not mean they will experience it in the same way. This is especially true on the emotional side of living with arthritis. A recent survey by Arthritis Ireland found that the impact of arthritis on the emotional well-being of Irish people is significant, reducing their ability to participate in social activities, causing sadness and depression and ultimately leading to social isolation. In response to this we have developed the Coping with Emotions information booklet and we also have our National Helpline which is available to anyone seeking support or information. Below are eight tips (taken from our booklet) on coping with negative emotions such as anxiety or depression. The first step in dealing with both the physical and emotional effects of arthritis is having a positive attitude as much as possible. It won’t always be easy. However, it is essential in managing your condition effectively that you are optimistic and positive about yourself, your future and your arthritis. It is important to remember that this is your condition and you control a lot of its effects. Laughing is a great way of making yourself feel better. When we laugh, feel-good chemicals are released in the brain, and these chemicals block pain and help us feel better. It’s not always easy to laugh or to keep a happy demeanour. You could keep a stack of comedy DVDs or books handy – anything that helps you see the funny side of things and lightens your mood. Regular exercise serves to benefit both the body and the mind. It is a good idea to develop an exercise programme with a doctor/friend or family member that is appropriate to your lifestyle. Regular exercise will serve to relieve stiffness, maintain or restore flexibility and improve your overall sense of well-being. Exercising is often more enjoyable when done with a family member or friend and they can also serve as your motivator when you may not be feeling up to it! Remember that Arthritis Ireland has a dedicated resource on exercise at www.arthritisandexercise.ie. Massage can help relax the muscles and improve their condition by increasing the blood flow. This can provide temporary relief from localised pain. You could ask a partner/friend for a massage or go for a professional therapeutic message. Remember to get the approval of your health professional before you get any massage, as each person experiences their arthritis in a different way and the effect that massage has on them is different. Getting a good night’s sleep restores your energy and improves your ability to manage your pain both physically and emotionally. It is important that both your bed and pillow are supportive to ensure your body is benefiting fully from the rest. Often a brief nap may be all you need to replenish your energy levels and rest your joints and mind. 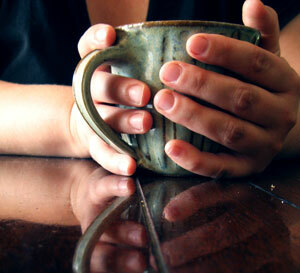 Learning to relax your body and mind properly is essential in managing your pain with arthritis. When we are tense, our muscles compress our joints and as a result they hurt and the joints are painful. Developing the ability to relax can help you reverse these effects. Some of the more effective ways of relaxing may include deep breathing, meditation, walking or swimming. Everyone has different methods of winding down but it is particularly important for anyone affected by arthritis to find an outlet that will allow both their body and mind to rest regularly. Giving yourself the “feel good” factor is important for all of us but especially so when we may be feeling dragged down emotionally by our arthritis. When feeling low, it is important to remember you owe it to yourself to pick yourself up and do something kind for yourself. This might just mean sleeping for an extra hour or visiting a friend. The list is endless and so are the benefits!! Often people don’t know what they can or should do to support someone with arthritis, so it’s up to you to let them know and to discuss it openly with them. You could consider giving them some of Arthritis Ireland’s information leaflets, which contain information and advice on living with various forms of arthritis. Sometimes it helps to talk to someone you don’t know. Arthritis Ireland’s helpline is manned by people who are living with arthritis and is the first of its kind in Ireland, providing vital emotional and practical support and information to people affected by arthritis. For more tips on dealing with the mental impact of arthritis download our Coping with Emotions booklet. If you are looking for information or seeking support, call our helpline and speak to one of our volunteers on locall 1890 252846. Pain is part of daily life for many people living with arthritis but there are a number techniques that you can practice to control your own joint pain. Different types of pain management work for different people – everyone is unique. Arming yourself with information is the first step along the road to pain control and living life with arthritis to the full. Below are Arthritis Ireland’s eight top tips for creating a pain management plan. For a full guide to how to better manage arthritis or joint pain, download our Coping with Pain information booklet. Note down when is the most effective time for you to take your medication. Be aware of how your body responds to painkillers and take all medication appropriately, in accordance with your doctor’s advice. Make a note of whether heat, cold or massage helps, and how often you try them. Make space in your day for rest. Take notice of when your body responds well to rest, and to the resting of specific joints in splints, and develop a positive rest routine. Make a note of the things that help you feel relaxed and calm, and in control of your pain. Try to practice those techniques which you find suit you best. Develop techniques for conjuring up restful, pleasant images and memories. Work on having a generally healthy lifestyle to improve your sense of overall wellbeing. Make a plan to do aerobic, strengthening and range of movement exercise. Make a list of questions to put to healthcare professionals concerning your treatment programme and pain management. Be firm in asking these questions and persist until you are happy with the answers. For more information on how you can better manage the pain of arthritis or fibromyalgia download our Coping with Pain information booklet.